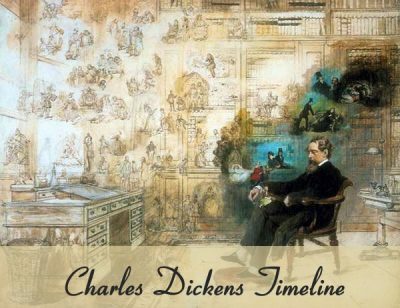 In January 1842 Charles Dickens and his wife, Catherine, traveled to the United States. 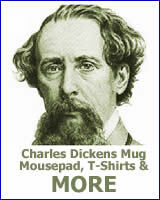 Dickens wanted to see the sites, learn about the country and do research for a future series of articles. 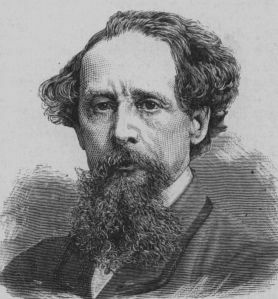 While on tour Dickens often spoke of the need for an international copyright agreement. The lack of such an agreement enabled his books to be published in the United States without his permission and without any royalties being paid. This situation also affected American writers like Edgar Allan Poe. Poe’s works were published in England without his consent. Dickens first realized that he was losing income because of the lack of national in international copyright laws in 1837 when The Pickwick Papers was published in book form. At times the novel was reprinted without his permission and sometimes even imitated. Some of Dickens’s struggles with copyright laws made it into his fiction.